Fulfilling your vision is our sole mission. 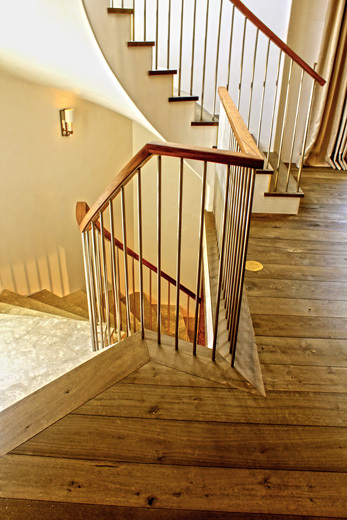 From finding that perfect French oak to coaxing a one-of-a-kind finish from a fusion of old and new techniques, SFC serves the exacting standards of the truly discerning homeowner. To satisfy our clientsʼ demand for high-end stock, we have winnowed our fold of buyers to those elite few who share our values of precision and service. To ensure unparalleled quality, we've assembled a roster of skilled craftsmen that includes second-generation installers, third-generation finishers, and one Belgian so famously particular, he built his own machinery to achieve the look our client sought. At SFC Flooring, we have refined each of our systems to serve one end: your complete satisfaction. From forestry to shipping to finish, every link in our supply and production chains is tooled to provide the granular control that brings dreams to life, seamlessly and flawlessly, with none of the clouds that too often darken what should be a joyful experience. When you're ready for the floors you've dreamed of living on, call us. We live to make them a reality.